Football Manager 2018 is bringing in big changes to how players experience matchdays. In their latest video, which you can check out above, Sports Interactive break down the changes that you’ll see before, during, and after those all-important games. Football Manager 2018 puts graphics before graphs. The changes start with a new preview screen. 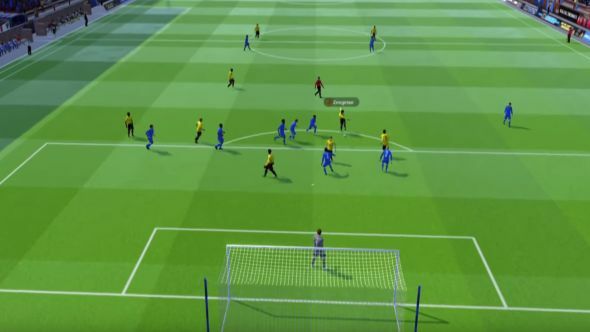 That offers a look at the scouting you’ve done on your opposition, allowing you the chance to get a tactical edge before the match even begins. It also introduces new tactics meetings. The new graphics engine has allowed Sports Interactive to incorporate pre-game cutscenes, which you’ll see before the match begins. There’ll also be new animated teamsheets, before you head to the dressing room to conduct a team talk. Those talks can be divided up, offering a primary team talk in which you address the whole team, before allowing you to talk different groups aside to hone in on specific topics. When it comes to the match itself, there’s a plethora of different options to explore. A tactics tab lets you change your team’s approach in real-time, while the analysis tab shows you an informed breakdown of on-pitch stats, and advice from your backroom staff. You can also shout at your players better, because tough love is the best kind of love. Football Manager 2018 releases on November 10. Other changes coming to the series with the new game include tweaks to scoutingand the tactics screen.